The O’Connor Music Studio is now accepting students for the upcoming school year in its Chantilly location. This location has served Northern Virginia for over 30 years. Mrs. O’Connor is a music teacher with over 40 years experience teaching both privately and as a music teacher in the public school system. I teach piano, organ, electric keyboard, ear training and music theory to students of all ages, abilities, and backgrounds. 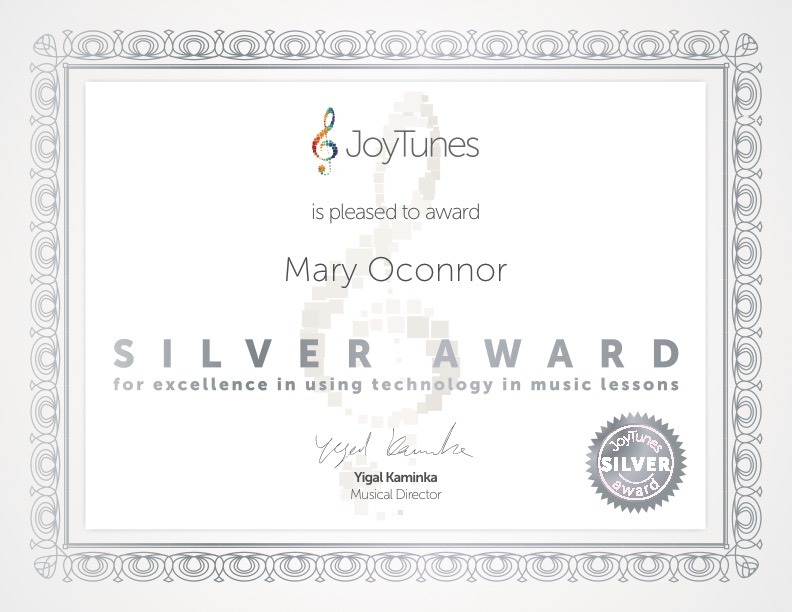 I am a certified Joytunes Teacher (Piano Maestro). Students will learn music theory, performance skills, ear training, music history, composition, and much more! Lessons are taught based on the student’s needs and learning styles. To set up an interview time, please fill out the contact form. I look forward to having another great year!